Sepsis is caused by a serious infection and can become dangerous if left untreated. Medical attention is necessary as soon as possible after symptoms develop. When warning signs are ignored, the infection can quickly become deadly especially in older adults. A nursing home injury lawyer may be able to help families who have lost loved ones as a result of untreated sepsis. Some of the first signs of sepsis are a fever and an elevated respiration and heart rate. If severe sepsis develops, symptoms include breathing difficulties, abdominal pain and mental confusion. A person suffering from sepsis may go on to develop septic shock and experience an extreme drop in blood pressure. Sepsis can develop from any type of infection,but some of the most common infections associated with sepsis are pneumonia and abdominal infections. In nursing homes, sepsis may develop due to an untreated wound or skin infection such as a bedsore. Some cases of sepsis develop after another medical condition goes untreated. If you feel like your loved one has been harmed by nursing home abuse or neglect, an attorney may be able to help you find answers. 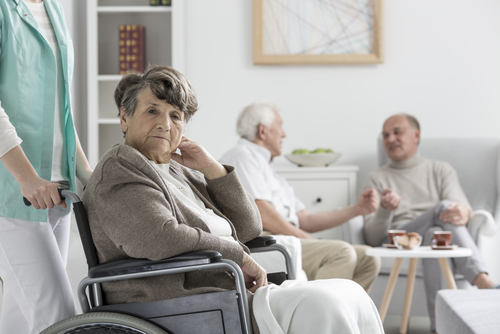 Nursing home abuse cases can be complex, and sometimes it is not clear what happened until after a careful examination of documents. Nursing home abuse attorneys can help gather medical records, reports and other evidence to discover what went wrong. In some cases, an expert witness can examine medical records to determine what happened. If you believe your loved one has been harmed due to nursing home neglect, contact an attorney. Nursing home abuse attorneys see many cases of neglect and nursing home abuse every year and are familiar with many of the warning signs. An attorney can fight for victims by filing a lawsuit to prevent this type of tragedy from happening to others. Call Alonso Krangle today to schedule a consultation.